A high-end drinks company has turned to innovative packaging to fight the war on sugar, with the help of Rotherham glass manufacturer, Beatson Clark. The Greasbrough Road firm, which has been making glass bottles and jars in Rotherham since 1751, specialises in providing glass packaging solutions for niche brands in the food, drink and pharmaceutical markets worldwide. Beatson Clark's in-house design team worked with Kolibri Drinks from the early concept stage through to manufacture. The brief was to create an elegant bottle which would appeal to the premium retail and restaurant market. The bottle itself, designed and produced in Rotherham, is a cone-shaped 300ml white flint flask made from 30% recycled glass on average. 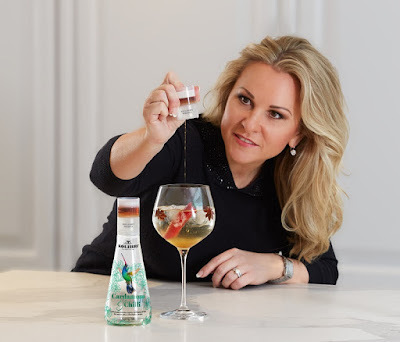 Kamila Sitwell, co-founder of Kolibri Drinks, said: "At a time when consumers are incredibly discerning and expect premium experiences in all aspects of branding, standard off-the-shelf bottles wouldn't work for Kolibri Drinks. "Beatson Clark worked with us from the very beginning, all the way through consumer and industry testing and the complex incorporation process with the patented cap which enables customisation of sweetness. "I don't think many companies are able or willing to go the extra mile to go through a complex and time-consuming process to deliver something truly disruptive." Charlotte Taylor, marketing manager at Beatson Clark, said: "We're finding more and more companies, particularly small businesses with big ideas, approaching us for unique bottle designs. The drinks business is a multi-billion pound industry, and competition is fierce, so they're all looking for something to make their product stand out on the shelf. "Rather than being bound by what we can't do, we take a can-do attitude. This type of bottle is the first of its kind we’ve produced and the finished product looks great. The quality of the glass matches the level of innovative design."